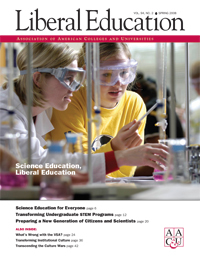 Many institutions are working to create interdisciplinary learning environments and opportunities for students to organize their studies around societal and global challenges and problems. 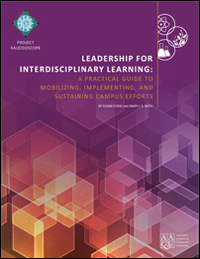 Leadership for Interdisciplinary Learning provides a framework for evaluating institutional progress in implementing interdisciplinary learning. 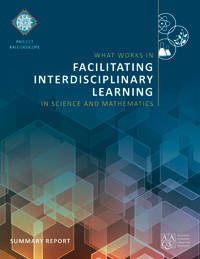 It provides a roadmap for mobilizing, implementing, and sustaining interdisciplinary programs. 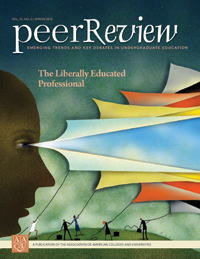 Based on the experiences of twenty-eight colleges and universities in the Keck/PKAL Facilitating Interdisciplinary Learning project, this guide is designed in a process flow from planning to institutionalization framed with key questions that should be asked during each phase of program development. 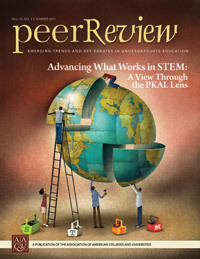 A publication of Project Kaleidoscope (PKAL), this guide reflects efforts based within the STEM disciplines but is applicable to other disciplines as well, providing an organizational framework to help campus leaders anticipate and address the infrastructural issues that can impede long-term interdisciplinary program sustainability.